It’s April in NYC and just we’re getting excited to finally put away our heavy coats and observe the buds on the trees and the blooming of flowers, a great many of us allergy sufferers knows what this means. It’s time for the sniffling, sneezing, watery eyes nightmare that is spring. And if you’re a singer, this may be a worse time of year for you than even cold and flu season. I was first diagnosed with allergies in high school when I grew tired of starting every day by sneezing 50 times in a row. After a scratch test by an ENT, it turned out that I was allergic to pretty much everything indoors and outdoors. Great. My father ripped the carpet out of my bedroom, put covers on my mattress and pillow and life went on without much of a hitch. Fast forward 20 years to me as a mom to a young child, spending many hours pushing the stroller around outdoors and hanging out at the playground. I put off my constant lethargy to child-related sleep deprivation, but even with enough sleep, I often struggled with extreme exhaustion. As a singer, I started noticing I was having vocal issues too, suffering with frequent hoarseness and vocal fatigue. I started wondering if my fatigue and vocal issues were somehow related. After a few google searches on WebMD, I suspected that my allergies were playing a bit role in my difficulties. This is how I found my allergist, Dr. Michael Lewin. Dr. Michael Lewin, allergist and superhero! Dr. Michael Lewin has been a practicing allergist for over 30 years, identifying and treating the causes of allergies for adults and children. He serves on the faculty of the Weill-Cornell Medical College and is a fellow of the New York Academy of Medicine, and is in private practice in both Wilton, CT and Manhattan, NY. What particularly interested me in Dr. Lewin’s work is that he not only practices injection immunotherapy (he has given over 250,000 allergy shots!! ), but he is also a practitioner of sublingual immunotherapy (allergy drops). After my initial allergy testing, it turns out that I am still allergic to almost everything outdoors and indoors. I didn’t have many issues during my 20s, because I spent most of my time indoors practicing music, so when I started spending more of my time outdoors with my kid, that’s when I started flaring up again. Dr. Lewin sent me home with a bottle of sublingual allergy drops which I self-administered every day. Within three months, I noticed an improvement. By month six, my symptoms were barely noticeable. By the end of the first year, I would only have allergy symptoms on high pollen count days during the spring. Now three years later, I can be in highly-allergic scenarios, like staying with a friend who has a dog, and can enjoy the entire weekend without sneezing and wheezing. I almost never take allergy medication anymore, outside of the odd puff of Flonase on a high pollen count day. My vocal health is better than ever and I know that my voice is going to be reliable no matter what time of year it is. I have recommended allergy treatment, and specifically Dr. Lewin’s practice to so many of my singing colleagues and students, and they have had the same results. What a relief to finally have some relief! I conducted the following interview with Dr. Lewin to better educate my friends and colleagues who may want to know more. An allergy is the body’s overreaction to normally harmless substances (antigens) in our environment. These include dust, pollens, foods, molds, and pets. If you are allergic, your immune system treats these antigens as harmful invaders and creates antibodies against them, producing an allergic reaction. Sneezing, coughing, itchy watery eyes, post-nasal drip, wheezing, itchy skin, eczema, hives, headaches, nasal congestion, sinus congestion, throat clearing. Food allergies may also cause rashes, stomach problems and throat fullness or congestion. Allergies affect 20-30% of the population. If your allergies are affecting your quality of life, your comfort level and ability to function well, you should see an allergist (allergy specialist). An allergist will help you by determining what you are allergic to and offering you information and treatment options to help manage your symptoms and neutralize the negative effects of your allergies. Avoidance of the things to which you are allergic. Medications such as antihistamines, nose sprays, topical creams and asthma-specific medications. Immunotherapy is the process by which we desensitize the body to the things to which you are allergic, so that you no longer react to these things when you are exposed to them. What are Allergy Drops and how do they compare with Allergy Shots? 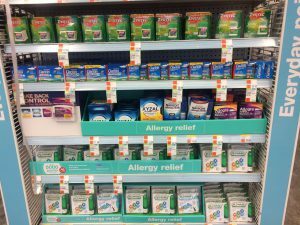 Both allergy shots and allergy drops are forms of allergen immunotherapy. Both of these forms of immunotherapy consist of introducing small amount s of the things to which you are allergic (antigens) into the body in gradually increasing doses, thus prompting your immune system to produce antibodies which block the allergic reaction to these substances. Both allergy drops and allergy shots are a very effective way to control your allergies. Allergy shots (subcutaneous immunotherapy) require weekly visits to the doctor’s office, where treatment is administered via injection. Allergy drops (sublingual immunotherapy) contain the same antigens used in allergy shots but formulated to be taken as drops placed under the tongue. This form of treatment is taken at home. In addition to treating environmental allergies, such as dust, animal dander, pollens and molds, allergy drops have the additional advantage of being effective in the treatment of food allergies and formalin allergy. Formalin is a formaldehyde derivative which is an ingredient in or byproduct of many cleaning products, fabrics, dyes, laundry products, personal care products, glues, carpets, and wood finishes. Food allergies and formalin allergies cannot be treated with allergy shots. How can allergies and allergy medications affect singers and other professional voice users? 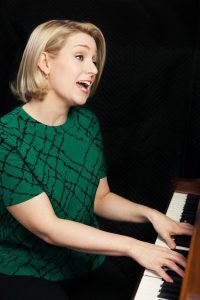 Allergies and allergy medications can have a profound effect on singers and other vocal professionals. In addition to the most widely known symptoms, such as coughing, post-nasal drip, restricted lung function and inflammation, an allergic reaction can cause swelling and inflammation of the vocal folds. Antihistamines can control many of these symptoms; however, antihistamines tend to cause dryness of the mucosa and in some cases can cause further vocal cord irritation. You must create a good balance between drying out the mucous membranes and not over drying the vocal folds. Persistent post-nasal drip can cause pitch changes, lowering fundamental pitch, changes in your voice and vocal range, throat pain and cough. Allergy medications treat the symptoms of the allergic reaction, whereas allergy immunotherapy readjusts the body’s overreaction to substances and prevents the allergic reaction from happening. So, where allergy medications may relieve your symptoms temporarily, allergy immunotherapy treats the underlying cause of your allergies. Identify what is causing your allergies. Wherever possible, control your environment to minimize your exposure to possible. environmental allergies (dust, mold, animal dander, pollen) and avoid contact with possible antigens. Seek professional help to learn more about your allergies. If you are experiencing ongoing, daily symptoms, consider allergy immunotherapy. 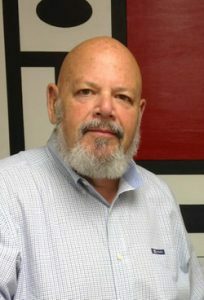 For more information about Dr. Michael Lewin, check out his website https://www.lewinallergy.com/.